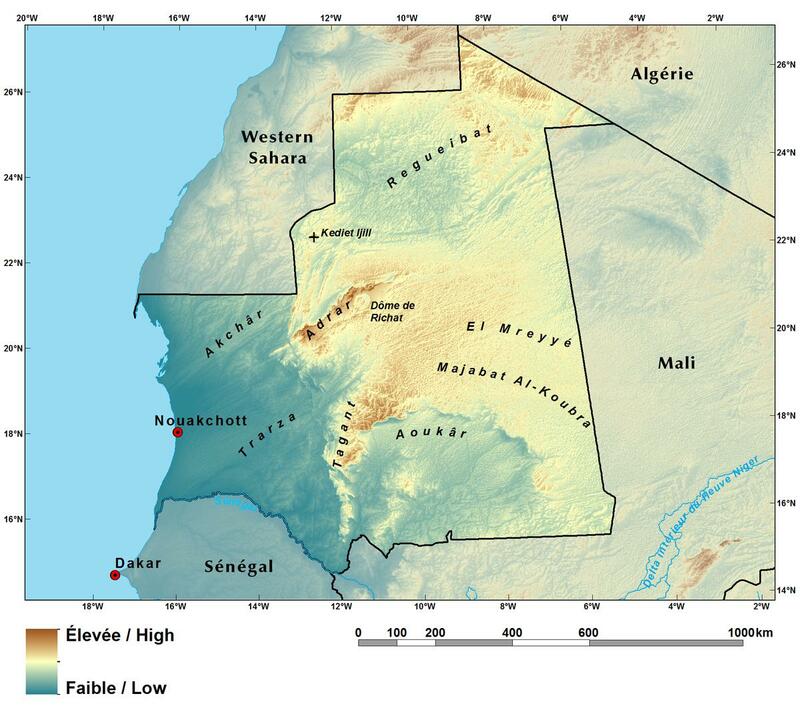 Mauritania is a generally fl tcountry, with vast arid plains interrupted by impressive rocky plateaus and escarpments. These give rise to some of the most spectacular scenery found anywhere in both the Sahel and the Sahara. In the west, the extensive Trarza (TRA) is a plain mostly covered by old, longitudinal dunes that are stabilized by Sahelian shortgrass savanna and steppe. To the south, the plain is interrupted by the Senegal River Valley, with its unique Acacia nilotica forests. To the east, the broad plains are flanked by the Plateau du Tagant (PT) and Plateau de l’Assaba (PA), both rugged sandstone plateaus, with deep canyons and occasional springs that feed oasis settlements. East of the high plateaus, vast sandy plains with undulating sand dunes stretch nearly 500 km to the escarpment at Nema. Here lie the regions of the Hodhs— the North Hodh (HN) with increasingly mobile sand dunes, and the Hodh Gharbi (HG) to the south with ancient stabilized dunes that support extensive rangelands and relatively productive ferruginous soils with agricultural potential.